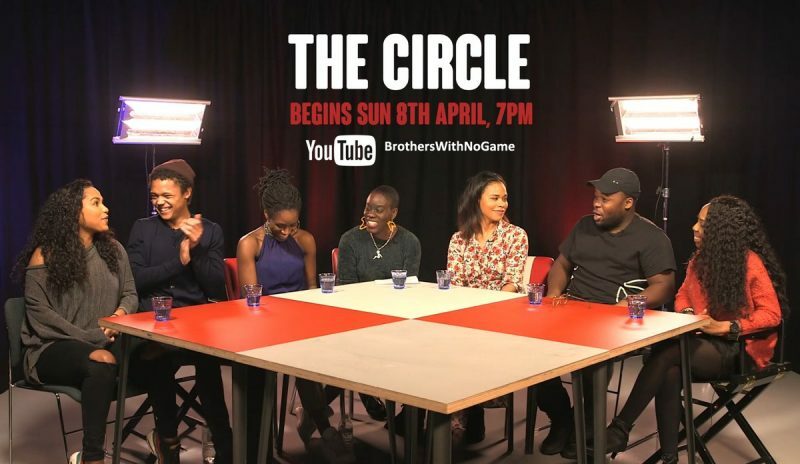 BWNG Ltd and The British Blacklist present The Circle’. Created by the respective companies’ founders Leon Mayne and Akua Gyamfi, the roundtable series connects a golden generation of BAME creatives and filmmakers together to speak on their journeys, the creative process, the highs and lows, and the future of Digital, TV and Film. The series will feature 5 episodes: Producers and Development Execs, Writers and Creators, Directors and Filmmakers, Actors and Actresses and Crew and Post Production, and also include a special workshop segment called The Process, where an idea created by the writers roundtable will find its way through all the other respective episodes to form a final product. The project has been nearly two years in the making with Leon and Akua shooting a pilot with the golden generation of webseries creators in 2016. A full series was then self-commissioned a year later, and Levile TV were brought on board as collaborators. “The opportunity to direct this project arose after a phone conversation with Leon Mayne. I was discussing an idea that was not too dissimilar from a project he had piloted with Akua a while ago. We all discussed how we could create this project and provide a platform to allow industry professionals from a diverse background to represent us with thoughtful and insightful information.” – Ola Christian, Founder of Levile. Check out the teasers above and click here to watch full episodes, which are released every Sunday.